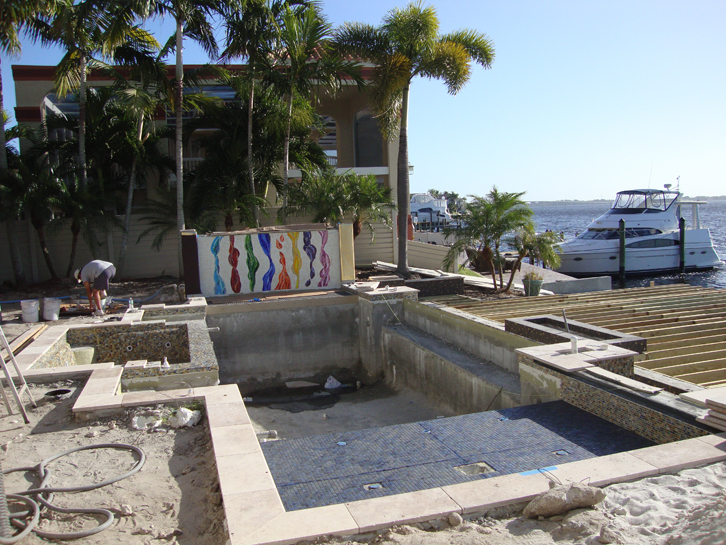 The glass for this installation was shippped in parts and installed by the company that put the pool in. 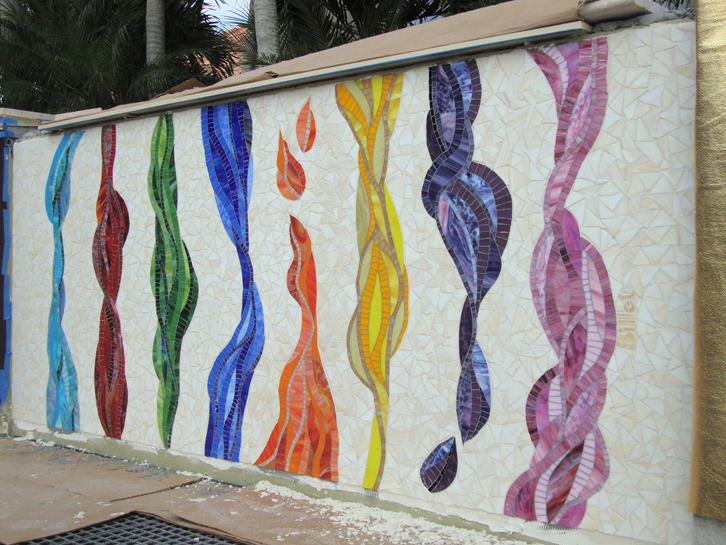 When finished, the mosaic had water running in front of it. 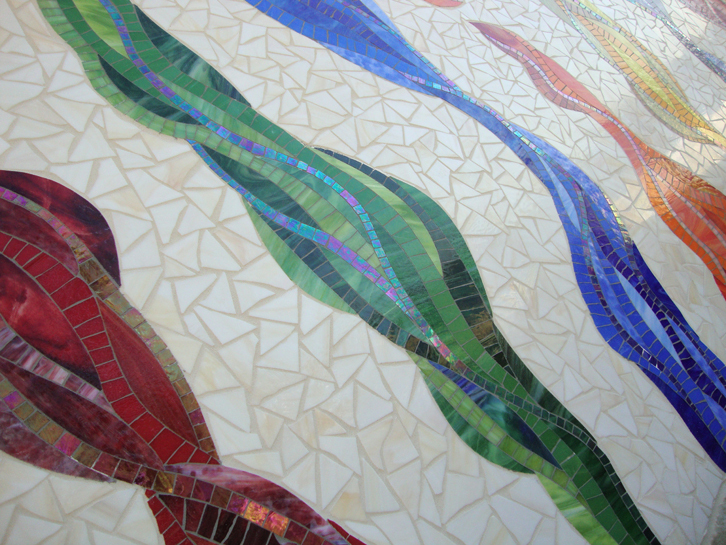 These photos were taken when my part (the mosaic) was finished.